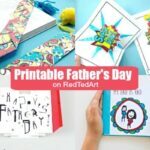 Time to make some POP UP Best Dad Cards – actually, we have two versions – a Pop Up Best Dad Card Printable and a Pop Up Super Dad Card Printable! 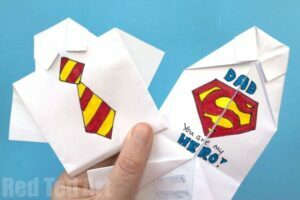 So whether your dad is the BEST or your dad is SUPER.. you have a choice of fantastic Pop Up Father’s Day Card to print. Both printables are completely free printables.. we want you to get crafty and enjoy! 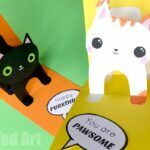 These printables were created by the fantastic Mrs Mactivity – an online printable resource site for at home and in the classroom! We recently also made a set of 4 Printable Father’s Day Bookmarks for you to download and make. 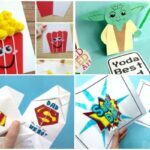 These printable father’s day cards are fun to make and are a great Father’s Day Craft for Kids – whether it is Father’s Day or a Birthday or Christmas.. more great Gift Idea for Him here! 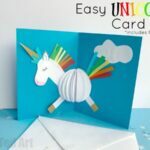 Find all our favourite DIY Pop Up Card Projects here. LOTS of inspiration for you! Now time to learn how to make pop up cards for father’s day! 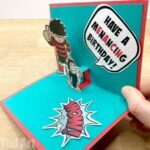 2 sheets of paper (or if you have it one light card stock, one sheet of paper) – get your Dad Pop Up Card Templates by clicking on the big red buttons below! WHY NOT SIGN UP TO OUR FREE NEWSLETTER FIRST? 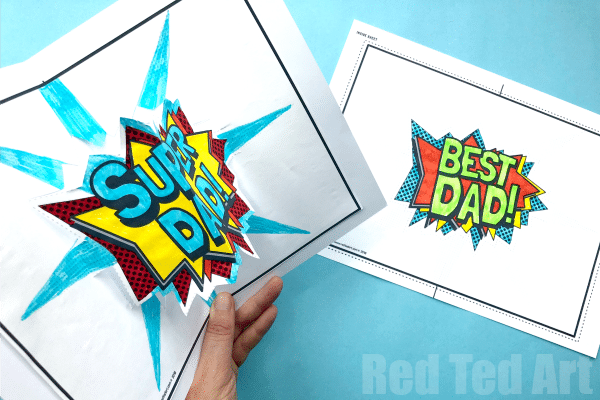 We also have a simple Best Dad/ Super Dad Printable – this has an OVAL to cut out – and follows the same technique as for cutting out the Pop Up Heart Printables. These are MUCH easier to cut and suitable for KS1 kids (7yrs and under). 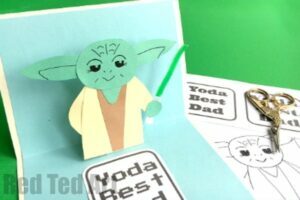 This video (and step by step pop up card making instructions) use PRINABLE 1 – the slightly more complicated to cut version of our Best Dad Pop Up Cards. If you wish to make the simpler version.. follow the same instructions as per our Pop Up Heart Cards (the cutting step is easier!). Then print your “inside” hear and the instrucions and optional stickers onto normal paper. Colour to your hearts content! Cut out the inside Best Dad/ Super Dad RECTANGLE along the dotted lines. 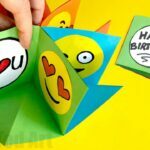 If using the SIMPLE VERSION: Fold in half – so the Best Dad/ Super Dad is on the outside and you can see the dashed lines for cutting. Cut along the dashed lines – NOTE – you leave a section intact – ie you do NOT cut out the hole oval. 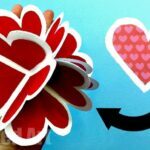 If using the DETAILED VERSION: carefully cut out the jagged lines – small scissors are best for this. NOTE: you need to leave a strip of paper on either side of your pop up in tact. Crease the top and bottom of the paper in the opposite direct on the Pop Up crease. 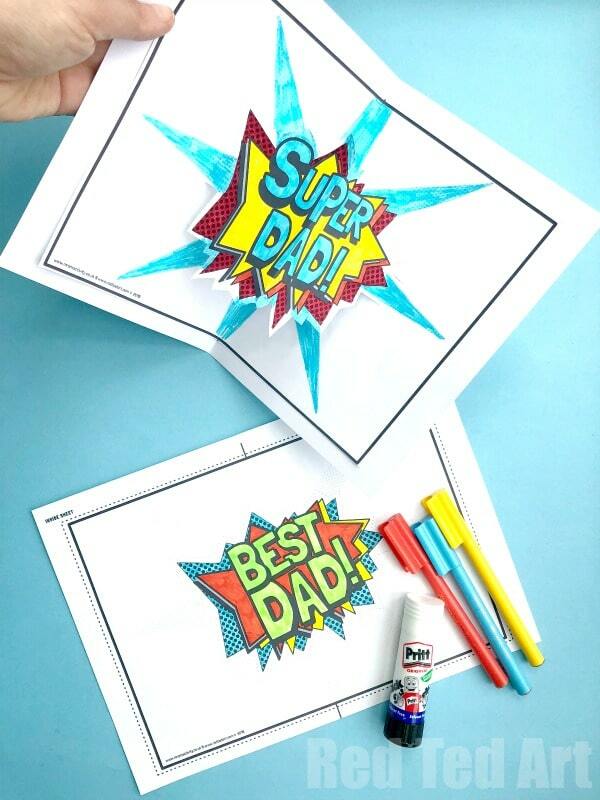 Glue down this sheet (do NOT add any glue to the Best Dad/ Super Dad pop up). Your pop up Super Dad card is finished. 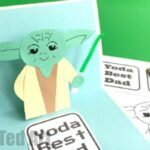 If your Dad is a Star Wars fun, you simply HAVE To check out these printable Yoda Best Dad Card POP UPs. OR how about this Superhero Origami Shirt Card? Love these!